The Christmas holidays are a fantastic time to get the kids cooking. 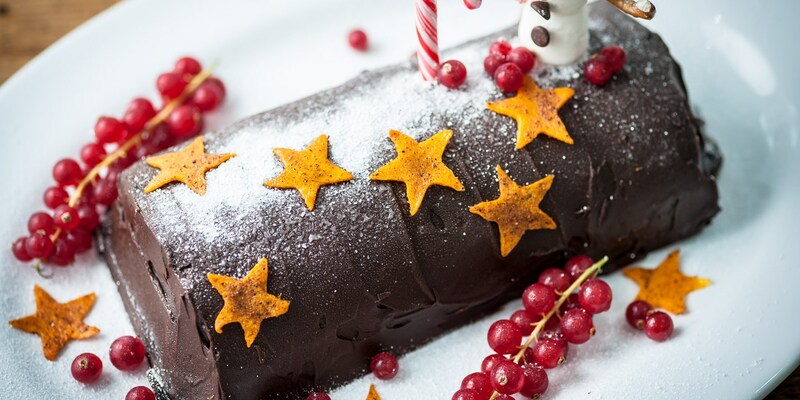 Browse our wide range of Christmas recipes for kids which are tailored to cooking with little helpers. Alternatively, download our free Cooking With Kids Christmas app, available for iPhone and iPad. Cooking is a great opportunity for the family to bond and spend time with each other. Also, cooking is a life skill and it's never too early to teach children about basic nutrition, you never know, you may have a talented young chef within the family. From warm and comforting recipes during the holiday season to Christmas baking, you'll find plenty of dishes to make with the children. For Christmas dinner recipes suitable for kids, try Alyn Williams' chicken Christmas crackers, Lisa Allen's reindeer in blankets or Galton Blackiston's Christmas pudding ice cream.